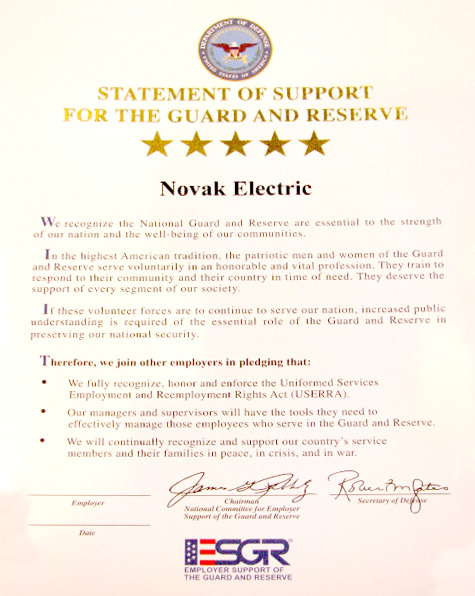 Military Awards | Novak Electric, Inc. 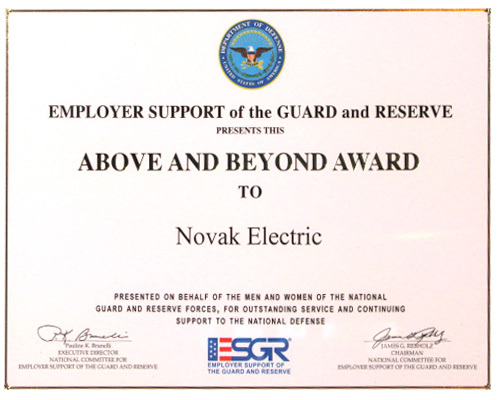 The “Above and Beyond Award” is given in limited numbers by state and territory ESGR committees. It recognizes employers at the state and local level who have gone above and beyond the legal requirements for granting leave and providing support for military duty by their employees.